After a bizarre accident, Ingrid Waverly is forced to leave London with her mother and younger sister, Gabby, trading a world full of fancy dresses and society events for the unfamiliar city of Paris. In Paris there are no grand balls or glittering parties, and, disturbingly, the house Ingrid’s twin brother, Grayson, found for them isn’t a house at all. It’s an abandoned abbey, its roof lined with stone gargoyles that could almost be mistaken for living, breathing creatures. And Grayson has gone missing. No one seems to know of his whereabouts but Luc, a devastatingly handsome servant at their new home. I’m a sucker for a gorgeous cover. I know…it’s a silly thing, but I will definitely at least pick up a book if the cover grabs my attention. I’m married to a marketer, what can I say? It works! Unfortunately, this tendency to pick up the lovely and shiny has also led me to pick up some books which are only shiny and lovely on the outside and sort of blah on the inside. 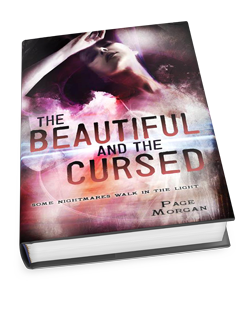 Thankfully, The Beautiful and the Cursed did not fall into this category. And while I do have fond memories of watching this cartoon with my brothers, it doesn’t evoke a story I could take too seriously. I’m very glad that this assumption is wrong. The mythology is well done and interestingly mysterious. It keeps you guessing and drives the plot forward in a way that kept me intrigued until the very last page. The plot is also paced well. I never felt that events dragged or rushed. Everything kept building until the end and resolved the events of the novel in a satisfying way, while also opening up the plot of the sequel. The story was exciting and complex with plenty of intrigue and suspense. Told in multiple POV’s, the story revolves around The Alliance, The Dispossessed, and The Waverly family. Getting several character’s POV really helped to set up this world and gave an extra dimension to each of the main characters. Ingrid Waverly was a truly interesting character. She’s a bit of an introvert and has a quiet strength. She also has something special about her that she does not understand. She’s fiercely loyal to her family, particularly her twin brother Grayson which leads her to make dangerous and brave choices she might otherwise be inclined to dismiss as options. The thing I liked most about her was her conviction. There is no talking this woman out of her opinions, and I like that. I also love the fact that she loves Luc for all that he is, not just his beautiful human face. Gabby Waverly. Oh, Gabby. She’s probably my favorite character in the entire story. Gabby’s extremely brave and a bit impetuous. She’s also feisty and a bit conceited, but it works and comes across as incredibly endearing. Her quick tongue gets her into trouble, but also proves to win her the attention of a rather dashing and interesting boy-man. Which leads me to Nolan. Nolan is a brilliant Scotsman and son of the head of the Alliance. He’s acting as head while his father is away at the big Council meeting in Rome. I don’t know what it is about these Scots, but I just love them. Perhaps it’s the way the roll their “r’s” or the fact that they love a fiery lass. But they always steal the show in my opinion, and Nolan is no exception. Vander, another member of the Alliance, is one corner of the love triangle. In my opinion, he only deserves mentioning because he’s a bit of a whiner and serves to show what an amazing character Luc is (we’ll get to him in a minute). I’m not a fan. I truly hope that Ingrid comes to see through him. Luc. Sweet Luc. He is a Dispossessed, meaning he’s a gargoyle who can shift between his human form and his gargoyle one. As a gargoyle, he’s required by the Angelic Order to protect those who live within his assigned territory. His territory now houses the Waverly’s. This poor boy needs a break. I’m a sucker for a character that I feel has gotten a bad lot in life. His humanity has been stripped away and replaced with a monster. While the fact that he is a gargoyle means that he has murdered a member of the clergy… *spoiler* I feel there must be some sort of honorable reason for it. Things keep being hinted at regarding his, now long dead, sister and how he avenged her. /*spoiler* He has such a innate goodness in him, that I have a hard time believing he could have been truly bad in his human life. Beyond this, his sacrificial love for Ingrid is beautiful and sincere. He goes well above and beyond his gargoyle duty in protecting her. I only had three mini gripes with this book. 1) Unnecessary love triangles. This is just my own personal pet peeve, but why do we need to have more than one boy in order to make a romance meaningful and interesting? I just don’t understand it. Sometimes it’s truly essential to the plot; most of the time, it’s just to build drama. Build drama with plot, please. Thanks. =) Truly, this was only mildly annoying in The Beautiful and the Cursed, but it definitely should be mentioned. 2) Why is everyone in this book so darn pretty? I mean EVERYONE. Every new character introduced, even those with scars from horrific demon attacks, is described as breathtakingly beautiful/handsome. I mean, seriously? Why’s everyone so pretty? 3) Why are there no female gargoyles? Given the parameters of the mythology established in the novel, this question has to be asked. Surely over the course of human history, some woman had to have successfully killed an ordained man. 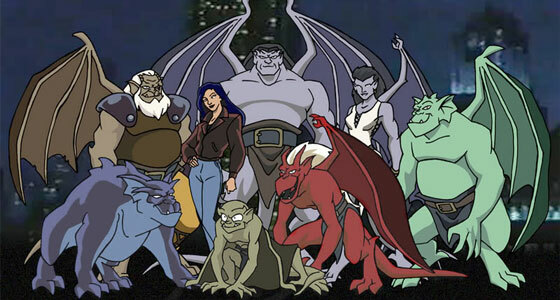 Why wouldn’t there be at least one female gargoyle? But that’s it. The rest of the book was truly wonderful. Overall, this is a thrilling and exquisite tale of love, adventure, and a new spin on an ancient mythical creature. I thoroughly enjoyed it, and highly recommend it. Thanks for this great review! The book sounds really interesting, and I’m definitely going to be adding it to my TBR list! That said, I am SO with you about the love triangles. When I find out a story has a love triangle, I immediately question my desire to read it… I just strongly dislike them. But with your praise for this story, I will ignore the love triangle aspect and look forward to reading it! Teen Underground recently posted…Banned Books Week!